Antonio's first known manuscript was begun in 1598 and is dedicated to "all of alchemy." Its numerous recipes and illustrations make clear that its contents reflect a number of years of experience for the then twenty-two year old. According to rules established at the Council of Trent, his training for the priesthood could have begun no earlier than the age of sixteen. Born in 1576, he must have been ordained just before starting the manuscript, in which he prominently refers to himself as a priest. The question then arises, which of the many religious sects based in Florence sponsored the fledgling alchemist? We still do not know, but a strong possibility lies with the Dominicans. At first, this seems to be a counter-intuitive choice; after all, they ran the Holy Office of the Inquisition. They were charged with enforcing official Church doctrine, which among other things prohibited attempts to make gold by alchemical means. While this was not an outright ban on alchemy, it was often interpreted as such since transmutation comprised a key fascination of chemical experimenters. There is no doubt that Neri tried his hand at making gold; in a manuscript of 1613 he makes direct claim to having successfully done such. On the other hand, there is no evidence that he ever conflicted with the Inquisition, but it does make the Dominicans seem an odd choice. Family connections to San Marco may extend even deeper, although details are a bit sketchy. Neri's father was convinced that a distant cousin was the venerated holy-man Filippo Neri. A couple of generations earlier, Filippo attended San Marco for his initial religious studies. The future saint was a lifelong proponent of the convent's most famous member, Girolamo Savonarola, who incidentally started to pursue a career in medicine before committing to the Church. Today, Savonarola is best known for burning books and secular art in his "bonfires of the vanities." A perhaps more balanced picture would also portray him as a reformer of Vatican excess who preceded the Protestant Reformation. He succeeded in running the Medici out of town and declaring Florence an independent republic with Jesus Christ as its king, but that is another story. There are indications that the continued veneration of Savonarola extended to Antonio Neri's own family, as demonstrated by the iconography in his father's chapel at what is now Santa Maria Maddalena dei Pazzi Church. Finally, in 1564 one Tommaso Neri, a friar at San Marco was charged with writing a defense of Savonarola  in a late bid to canonize him. 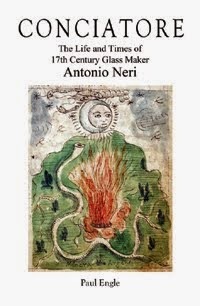 It is unknown to me if this Neri has any ties to the family of our glassmaker, but it is an intriguing possibility. In the end, none of this moves us any closer to finding which sect Neri belonged. The only conclusion we can draw for sure is that he lived among some interesting characters, in a fascinating city, in a remarkable period of history. Neri di Jacopo Neri, physician to Grand Duke Ferdianado I de' Medici. See Negri 1722 , p. 419. Pope John XXII issues a bull in 1317 against practice of counterfeit alchemy (coins), which soon becomes a general prohibition. Discorso sopra la Chimica, che cosa sia, e sue Operazioni, Neri 1613. For an English translation see Grazzini 2012. 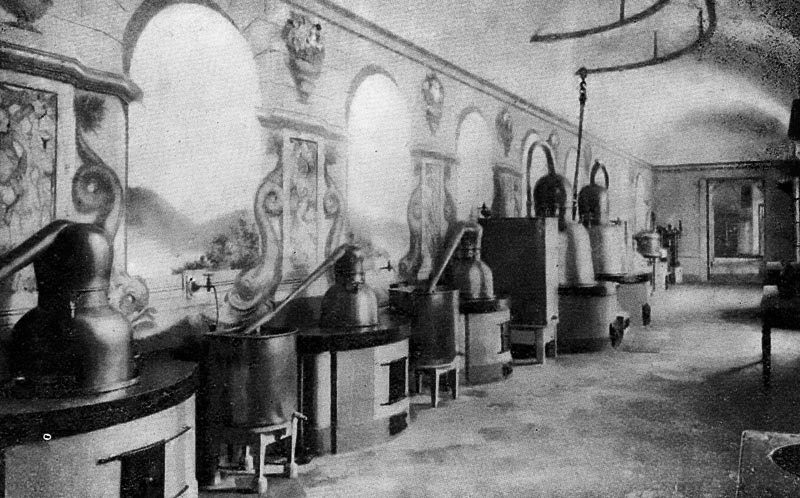 The royal apothecary was Steffano Rosselli. For more see Luca, Vasetti 1996.